Don't have V-Day plans yet? This is all you need. Whether or not you buy into Valentine’s Day as a worthy holiday, there’s no reason not to shake up a few cocktails, right? A well-made drink can’t help but contribute to the romance. And when we’re looking to get festive, we always, always turn to bubbles. 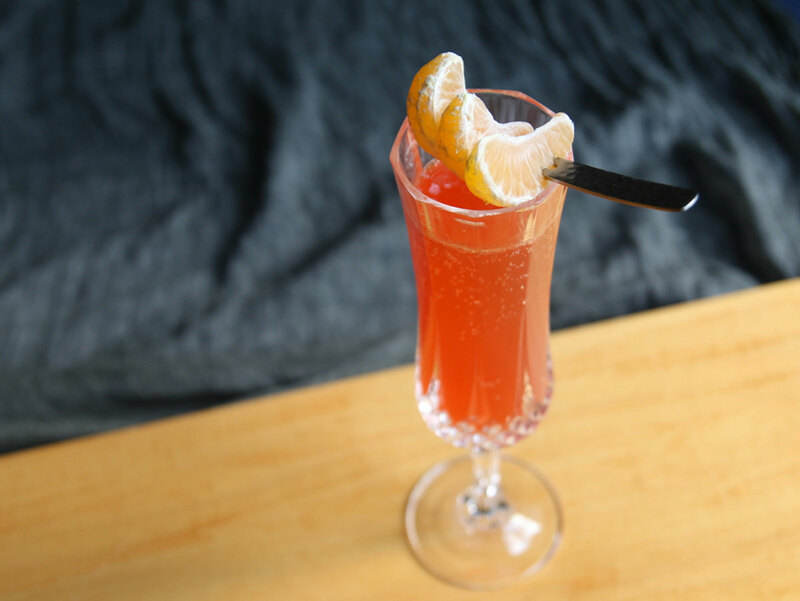 Here are five sparkling drinks guaranteed to enhance the Valentine’s mood. Even if you’ve never made a cocktail in your life, we guarantee that if you’re a drinking-aged human reading this, you can pour pomegranate juice, vodka, and sparkling wine into a glass. Flutes are nice; wine glasses with ice work, too. And high-quality pomegranate juice is available at just about any grocery store these days. Instructions: In a flute, pour one ounce of vodka and one ounce of pomegranate juice. Add one dash of orange bitters if you have them. Give that a quick stir, then top with two ounces of sparkling wine. Garnish with a few pomegranate seeds. In lieu of actual flowers, why not put flowers in a cocktail (pictured above)? Fragrant, floral elderflower and sparkling wine are perfect together, while rosemary adds an herbal aroma and lemon juice balances the sweetness of the elderflower liqueur. St-Germain is great; Giffard Wild Elderflower Liqueur is even better. If you find Valentine’s Day to be painfully saccharine, and need a little bitter to counter that box of chocolates or those sappy Hallmark cards, here’s your solution: Campari. Mix it with clementine juice (tangerine juice works, too) and sparkling wine, and the resulting drink is pleasantly bittersweet and a bright, vivid red. Looking for something a little more impressive? 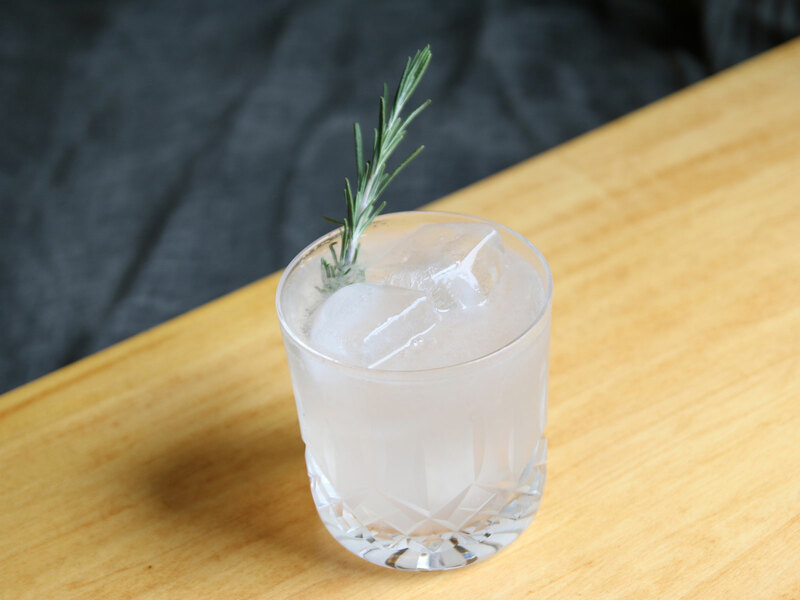 Making your own rosemary syrup is hardly more difficult than making a cup of tea, but sure adds to your cocktail cred. From there, shake with gin and lemon and top with plenty of sparkling wine for a memorable herbal French 75. Instructions: In a cocktail shaker with ice, pour an ounce and a half of gin (we're big fans of Beefeater), half an ounce of freshly squeezed lemon juice, and half an ounce of rosemary syrup. Shake that all up, and strain into a rocks glass with ice. Top off with two ounces of bubbly and garnish with rosemary. For the syrup: Boil a cup of water, and pour over 10-12 long stalks of rosemary. Make sure the herb is totally submerged. Let sit for 20 minutes, then stir in one cup of white sugar — leave the rosemary right in there — and stir until the sugar is dissolved. Cover and let sit for at least 2 hours. Strain before using and refrigerate any extra. If all these drinks seem a little frilly to your taste, here’s our response — a sparkling drink made with 100-proof, all-American apple brandy. Robust, boozy, and sparkly to boot. 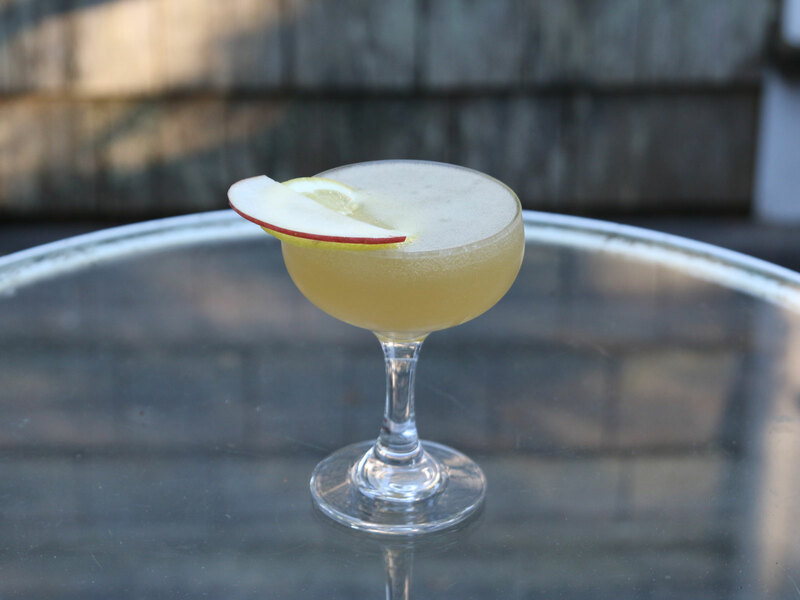 Instructions: In a cocktail shaker with ice, combine an ounce and a half of Laird’s Straight Apple Brandy, 3/4 ounce of fresh lemon juice, and half an ounce of simple syrup. Shake that all up, strain it into a cocktail glass, and top with an ounce and a half of sparkling wine. Garnish with a thin lemon slice and a thin apple slice.